Fusion-io shoves OS aside, lets apps drill straight into flash • The Register – Carpet Bomberz Inc.
Like the native API libraries, directFS is implemented directly on ioMemory, significantly reducing latency by entirely bypassing operating system buffer caches, file system and kernel block I/O layers. Fusion-io directFS will be released as a practical working example of an application running natively on flash to help developers explore the use of Fusion-io APIs. via (Chris Mellor) Fusion-io shoves OS aside, lets apps drill straight into flash • The Register. Another interesting announcement from the folks at Fusion-io regarding their brand of PCIe SSD cards. There was a proof of concept project covered previously by Chris Mellor in which Fusion-io attempted to top out at 1 Billion IOPs using a novel architecture where PCIe SSD drives were not treated as storage. In fact the Fusion-io was turned into a memory tier bypassing most of the OSes own buffers and queues for handling a traditional Filesystem. 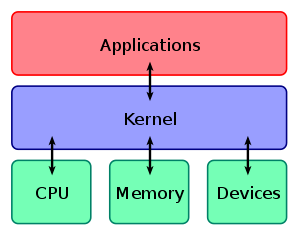 Doing this reaped many benefits in terms of depleting the latency inherent with a FileSystem and how it has to communicate through the OS kernel through to the memory subsystem and back again. Considering also work done within the last 4 years or more using so-called “in memory’ databases and big data projects in general a product like directFS might pair nicely with them. The limit with in memory databases is always the amount of RAM available and total number of cpu nodes managing those memory subsystems. Tack on the necessary storage to load and snapshot the database over time and you have a very traditional looking database server. However, if you supplement that traditional looking architecture with a tier of storage like the directFS the SAN network becomes a 3rd tier of storage, almost like a tape backup device. Sounds interesting the more I daydream about it. Pingback: Fusion-ios flash drill threatens to burst Violins pipes • The Register « Carpet Bomberz Inc.